KUALA LUMPUR, April 12, 2017 – Mellanox Technologies, Ltd. (NASDAQ: MLNX) today unveiled its expansion plans for Malaysia. The announcement, which is in line with the country’s ambitions of becoming the leading Big Data Analytics (BDA) solutions hub in South East Asia, reiterated Mellanox’s commitment to Malaysia through its strategic investment roadmap. 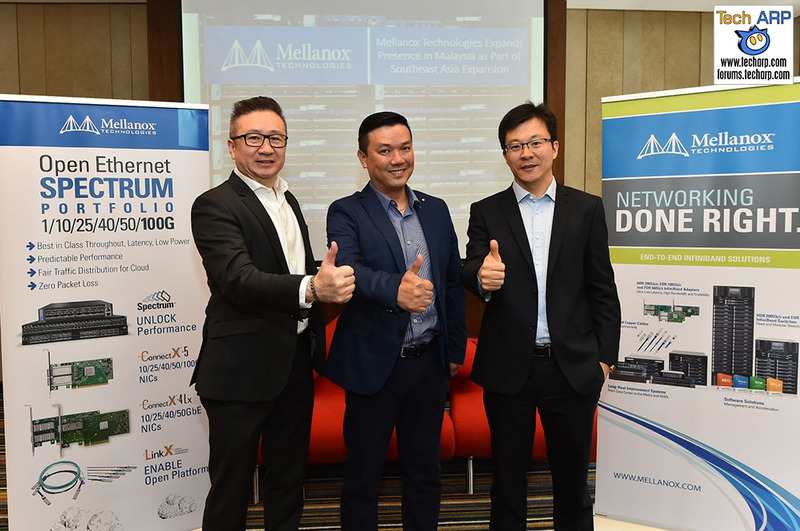 Mellanox’s investment into Malaysia’s digital economy comes at a time when the country is ramping up its efforts to see its ICT roadmap to fruition. The country’s ICT custodian, Malaysia Digital Economy Corporation (MDEC), noted that MSC Malaysia — a national initiative designed to attract world-class technology companies to the country — reported a U.S. $3.88 billion in export sales in 2015, representing an 18 percent increase over 2014. Today, the MSC Malaysia footprint has expanded to include 42 locations across the country, hosting more than 3,800 companies from more than 40 countries, employing more than 150,000 high-income knowledge workers, 85 percent which are Malaysians. This has propelled Malaysia to a top three ranking in AT Kearney’s Global Services Location Index since 2005, with only China and India ahead of Malaysia. Mellanox InfiniBand solutions have already been chosen to accelerate large High Performance Computing (HPC) customers in Malaysia. HPC customers use super computers and parallel processing techniques for solving complex computational problems and performing research activities through computer modeling, simulation and analysis. These HPC customers span various industries including education, bioscience, governments, finance, media and entertainment, oil and gas, pharmaceutical and manufacturing. The company is actively seeking partnerships and collaboration opportunities to support customers from different industries, primarily within Big Data, data centers and the Cloud. Next : Get RM200 off when you purchase the Galaxy J5 or J7 Prime!